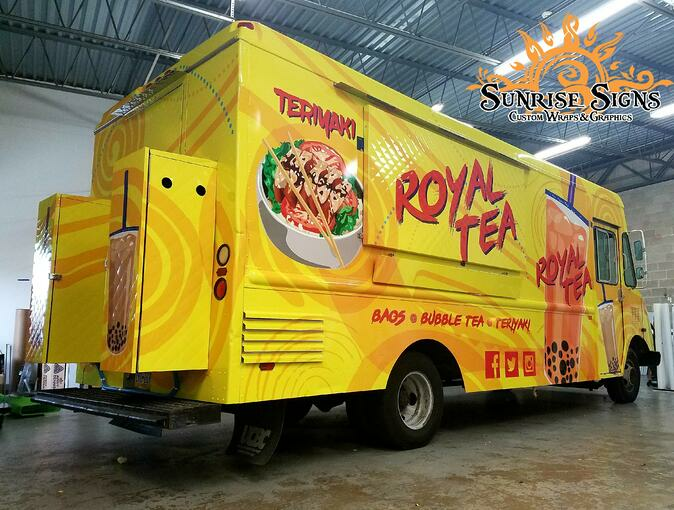 Check out these tasty wraps we have recently completed! The grease trucks of Rutgers University are famous for local college students, instructors and those in and around New Brunswick. 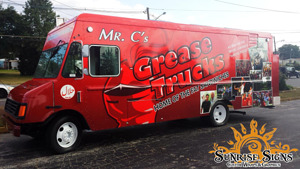 Samir Alkilani, owner of Mr. C’s Grease Trucks knew with the competition fierce, it was time to boost his visibility with food truck vehicle wraps and of course Sunrise Signs was happy to take on the challenge.